Like many children of 1990s Sydney, I was heartbroken to see Wonderland close. Then I reflected on the dirty tables, cold-season operation and high-ticket/ food prices and it all made sense. Wonderland Sydney, later known as Australia’s Wonderland, was owned by a conglomerate of the New South Wales State Superannuation Board, James Hardies Industries, Leighton Holdings and Taft Broadcasting. Taft Broadcasting (and Kings Entertainment Group) were the owners of the Hanna Barbera animation studio, which is why Wonderland Sydney’s Hanna Barbera Land was filled with rides and amusements themed to Hanna Barbera characters. You’ll notice, from the company names and Wonderland’s failure, that the group knew nothing about tourism. Sunway Group, who took over Wonderland in 1997, now lists ‘leisure’ and ‘hospitality’ on a list of 12 investment areas, so they too were far from specialists. In 1997 the group was best known for quarrying. Village Roadshow Theme Parks (VRTP) hope to avoid Wonderland’s fate – they already own SeaWorld, Movie World and Wet n’ Wild on the Gold Coast, plus Wet n’ Wild parks around the world. 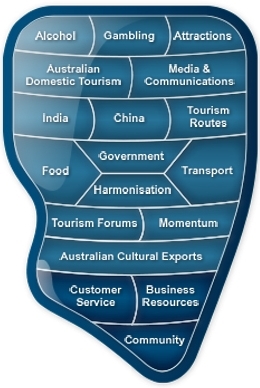 Not only do Village Roadshow Theme Parks know tourism, but they know the Australian market and bureaucracy. Big ticks. VRTP are teaming up with Ghangzhou R&F Properties to build Wet n’ Wild Sydney. To counter transportation issues, a shuttle service will take train passengers from Parramatta station to Wet n’ Wild. Parramatta station is approximately half an hour’s drive from Wet n’ Wild, but is much more central to the Sydney train network than Wet n Wild’s nearest station, Blacktown. CEO of Wet n’ Wild Sydney, Chris Warhurst, says the shuttle service will be provided by a local bus operator. The shuttle will be paid for by the consumer in the form of a ‘travel and play’-style ticket. 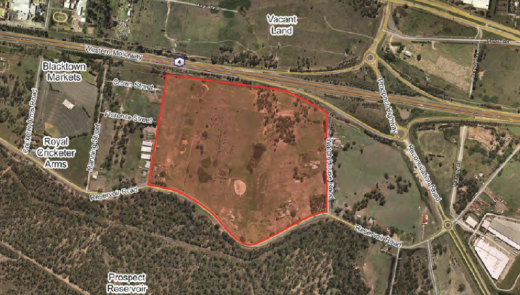 Featherdale Wildlife Park was sold by Amalgamated Holdings to Moss Capital in June 2013. Amalgamated Holdings is known for its leisure holdings in Australia. The group names Rydges Hotels and Resorts, QT Hotels and Resorts, Thredbo, Event Cinemas, Moonlight Cinemas and the lesser known Altura Hotels in its portfolio. Interestingly, Amalgamated’s Altura Hotels have just moved in next door to Wet n’ Wild, and the constantly-relaunched but never getting there Blacktown Drive-In cinema has also been resuscitated by the group, so the Blacktown Drive-In is now an event cinema. Figuring out exactly why Amalgamated Holdings would sell Featherdale, a long-fought over site in the same leisure category, just as Amalgamated invest so heavily in other areas of Blacktown, is a question for another day. Kellie Ames, Domestic Sales & Marketing Manager at Featherdale, says that because Featherdale offers a completely different visitor experience to Wet n Wild, Featherdale hopes to ‘work with Wet n Wild in the future on further developing Western Sydney as a visitor destination’. Destination NSW declined to comment on how other Blacktown tourism operations could complement Wet n Wild’s tourism offering. Blacktown City Council uses Tourism Research Australia data to estimate that Blacktown receives 471,000 domestic day visitors per year. Assuming Wet n’ Wild will only be doing Stay n’ Play deals with Amalgamated Holdings’ Altura Hotel (conveniently opened in October 2013, just six weeks before Wet n’ Wild’s official opening), the generic hotel package will undoubtedly price many Australian families out of the Gold Coast-style Stay n’ Play deals. A tourism opportunity exists for other Blacktown accommodation operators to price-beat Altura on accommodation for Wet n’ Wild customers. Altura Hotels already have paid Google listings. Just one month into operation, Altura’s listing on Hotels.com and has somehow already received 5 positive reviews, which produces an immediate ranking of 4 stars on Hotels.com.